When asked to imagine what foreign aid looks like, many picture organizations providing food to hungry children in developing countries. Food is an essential human need and plays an important role in lifelong health and development. At a time the UN is calling the worst humanitarian crisis since WWII and over 30 million people around the world face starvation, food aid has never been more important. But according to the Trump Administration’s proposed cuts to foreign aid funding, food aid will see some of the steepest cuts. President Trump appears to be making good on his promise to put “America first,” by halting foreign aid to “countries that hate us," and investing in US infrastructure instead, a promise he made when he announced his candidacy in 2015. The proposed budget released in March promised to slash aid to developing countries by over one-third and cut the State Department budget by 32%, all the while boosting the defense and homeland security budgets by 10% and 6%, respectively. The US is the largest provider of foreign aid in the world, accounting for 29% of the $22.1 billion spent global aid. However, food aid accounts for a tiny percentage of the US budget. Of the $3.65 trillion estimated budget by the US federal government this year, less than 1.2% ($42.3 billion) will be set aside for foreign aid funding. Of that, just 8% ($3.5 billion) goes toward food agencies. Overall, funding for food aid would drop from $3.5 billion in 2017 to $1.5 billion in 2018. In one year, US foreign aid would drop from feeding 67 million people to just 29 million — that’s over half (57%) of the people currently relying on US food aid. In July, the European Union (EU) echoed the UN’s call for increased food aid and assistance from donors worldwide, saying the need for humanitarian aid is unprecedented in 2017. In four African and Middle Eastern countries — Yemen, northeast Nigeria, Somalia, and South Sudan — over 30 million people are at risk of starvation. The UN has requested $6.1 billion in food aid, but only $2.2 billion (36%) has been pledged. 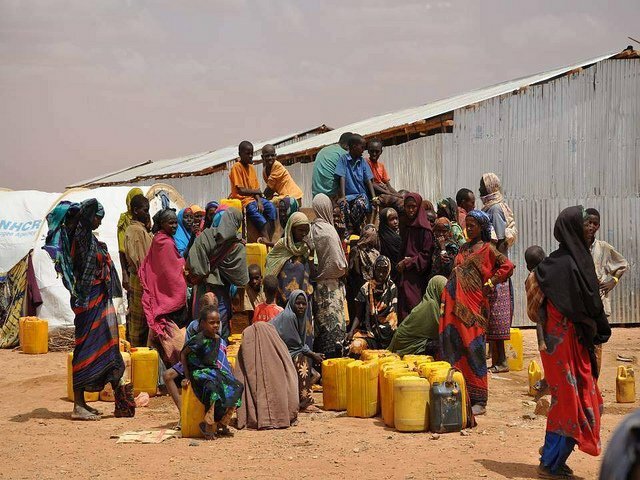 Meanwhile, neighboring countries could fall into famine by the end of 2017, and Ethiopia will run out of food aid by the end of the month. “Right now, food assistance is the only thing that stands between hundreds of thousands of people and absolute catastrophe,” Shaun Hughes, World Food Program (WFP) worker in South Sudan, told CBS News in March. 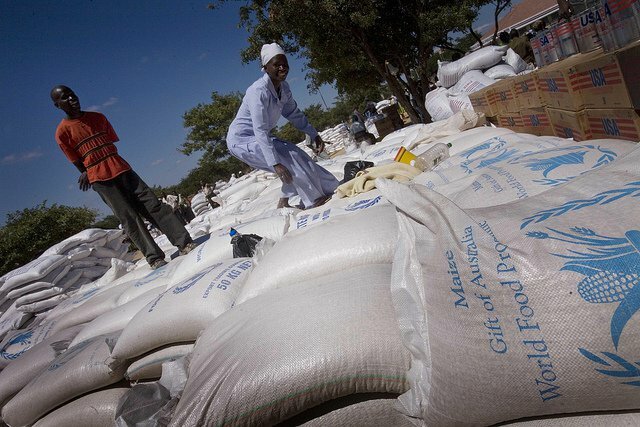 The WFP is currently reaching only half of the people in South Sudan who need food aid, according to Hughes. 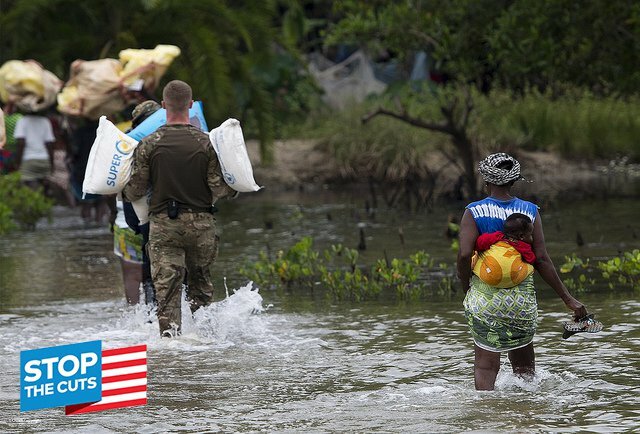 “Let’s not sugarcoat this: humanitarian aid is lifesaving assistance, so cuts like these will kill people,” Jeremy Konyndyk, head of foreign disaster response for the Obama administration, wrote in The Guardian. Image: Department of Foreign Affairs and Trade/Flickr. The programs that the Trump administration has proposed cutting provide more than just emergency food aid; they are fundamental to building sustainable and healthy agricultural systems that low-income countries can use to boost their economies and long-term stability. By cutting these programs, the Trump administration is taking away these countries’ opportunity to lift themselves and their people out of poverty. The Trump administration has proposed to eliminate the P.L. 480 Title II food aid program (Title II) in its entirety. Title II works to ensure adequate food supplies for countries facing emergency circumstances, such as famine or war. Since its launch in 1954, over 3 billion people in 150 countries have benefited from U.S. Title II food aid. One of the Title II programs, Community Development Fund, works with people and organizations throughout the agricultural ladder to address the underlying roots of hunger and malnutrition. That includes a locally-owned and operated seed company in Mali that feeds half a million people in the country to a water supply system that brings clean water to communities in Afghanistan. Based on President Trump’s proposed budget cuts, the Bureau for Food Security would lose 68% of its funding. Created in 2010, the Bureau for Food Security manages agricultural development programs through USAID. This includes the Feed the Future Initiative, which trains farmers in the world's poorest countries, many of whom are women. Since the program’s launch, 2.5 million people have been trained in child health and nutrition techniques, 9 million people learned advanced farming practices, and Feed the Future-supported producers achieved $800 million in new agricultural sales in 2015. USAID estimates the Feed the Future Initiative reduced the rate of stunting in children by 15-30% from 2008 to 2014. The poverty rates in these countries has also dropped between 7% and 36%. Drastic cuts to the Bureau of Food Security’s budget would ultimately result in the US and other countries having to spend more money on emergency food assistance. Image: Feed My Starving Children/Flickr. Part of the USDA’s Foreign Agricultural Service (FAS), this program supports education and food security in low-income, food insecure countries around the world. With a fiscal year budget just under $200 million, which the Trump administration has proposed eliminating entirely, this program reaches approximately 2 million people in countries like Ethiopia, Haiti, Tanzania and more. As the program title suggests, cutting this program would harm children most by cutting food aid and education opportunities. By providing teacher training, school meals, and related support, the McGovern-Dole program aims to decrease hunger and increase literacy, especially for young girls. Working with local non-profit organizations and international organizations, this program aims to build a sustainable project that communities will eventually be able to lead on their own, without government assistance. While funding for international food aid programs is relatively small, especially compared to the requested $54 billion increase for military spending, their impact is enormous. Cutting funding for these programs harms the most vulnerable, and also the most important, demographic: children. Much of the food aid provided by the World Food Program includes specialized nutritious foods for children up to 5 years old and pregnant and lactating mothers. 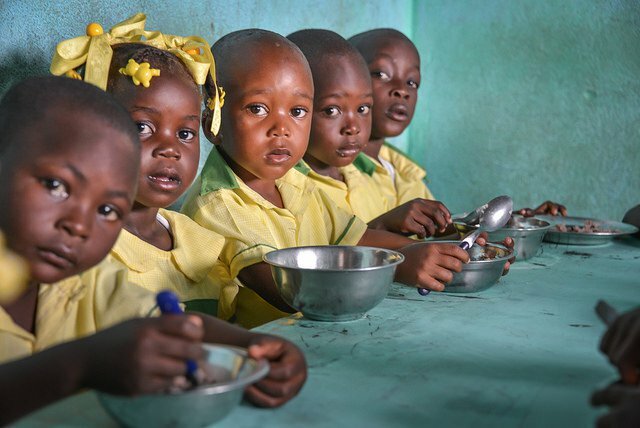 Made from a mixture of vegetable oil, fortified powders and milk products, these specialized nutritious foods are high-calorie, high protein and high-fat foods that ensure children receive adequate nutrition to grow. Ensuring adequate nutrition at an early age is essential to building the type of citizens who can break out of the cycle of poverty. 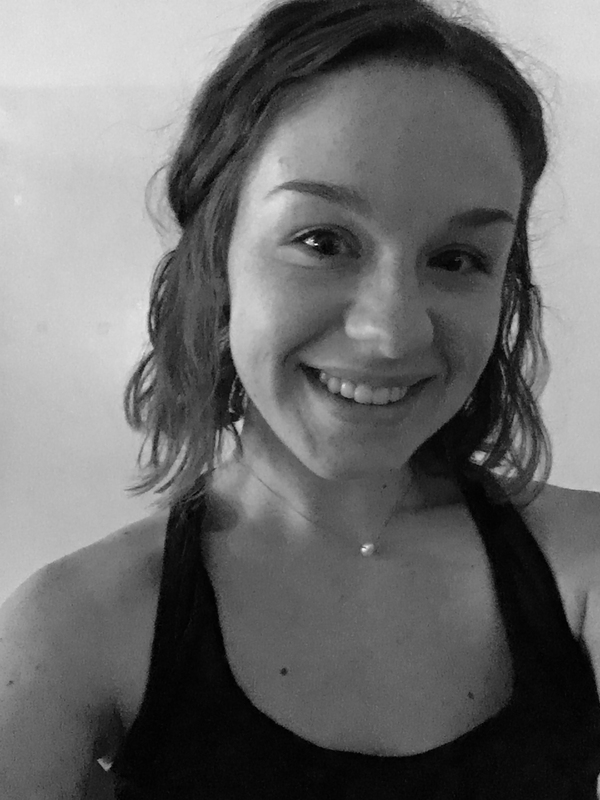 When young people do not benefit from healthy nutritious offerings, the consequences — among these, stunted growth — follow them for the rest of their lives, barring them from better employment opportunities and from reaching their income potential. 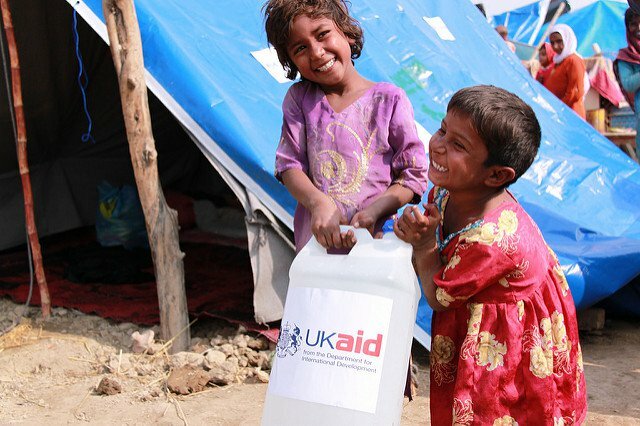 Despite being a small piece of a massive budget, foreign aid covers a wide range from military aid to humanitarian assistance and plays an important role in diplomacy. Several members of Congress have already spoken out against the budget cuts, arguing that foreign aid plays a key role in US diplomacy and international leadership. Whereas these food aid programs promote global peace efforts, the spending cut from these food agencies could translate into money for bullets, as defense secretary James Mattis has said. By taking away these programs that help children and aim to build better futures for developing countries, everyone loses.